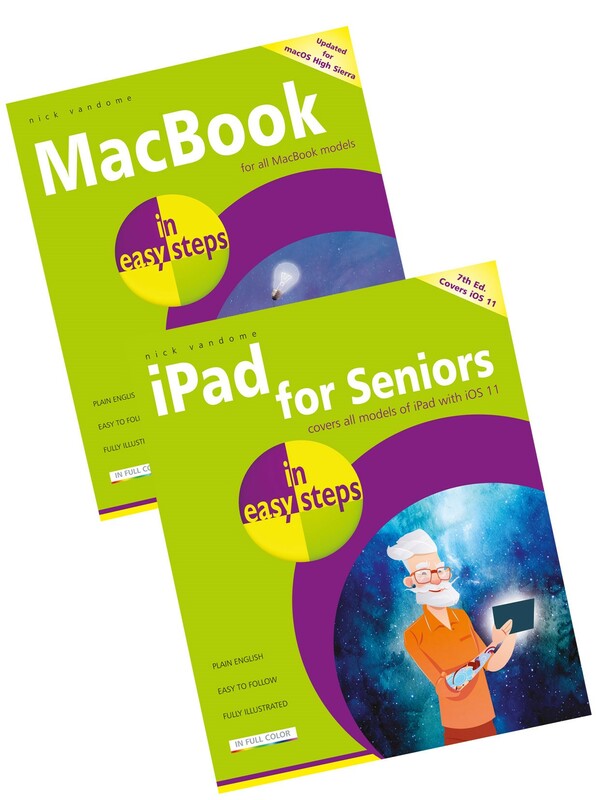 RRP £10.99 each - buy both books together for only £15.00! Internal enhancements designed to make your MacBook more responsive and efficient. An improved file system, designed to meet modern computing needs. An enhanced graphics processor for the best graphics on a MacBook yet. Support for a wide range of virtual reality options. Enhancements to exists apps, including Photos, Safari, Siri, Mail, FaceTime and Notes. 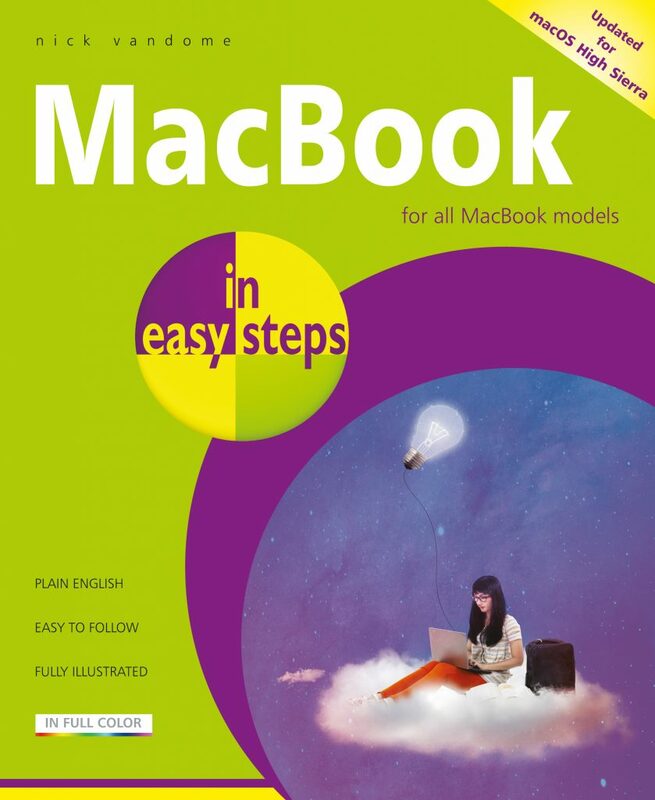 Use this guide to accelerate your learning and take control of your new MacBook! Covers macOS High Sierra (OS X 10.13), released Autumn 2017. The iPad is a tablet computer that is stylish, versatile and easy to use, and is one of the most popular tablets used by all ages. The range of models has been expanded over the years so that there are now different sizes to cover all mobile computing requirements. 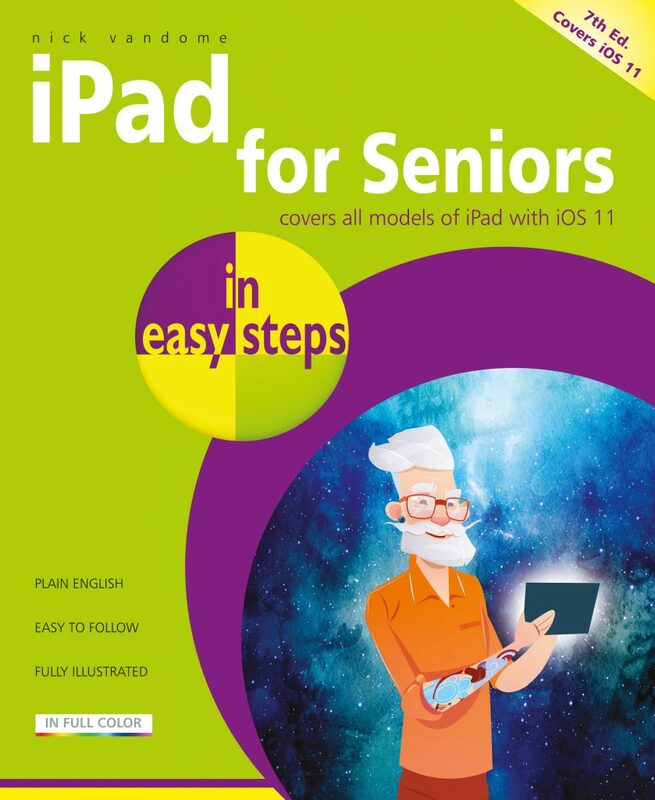 With iOS 11, the iPad goes from strength to strength, and iPad for Seniors in easy steps, 7th edition is the perfect companion to using this impressive tablet. A handy guide for any Senior new to the iPad, covering iOS 11, presented in larger type for easier reading. For all iPads with iOS 11, including iPad Mini and iPad Pro.